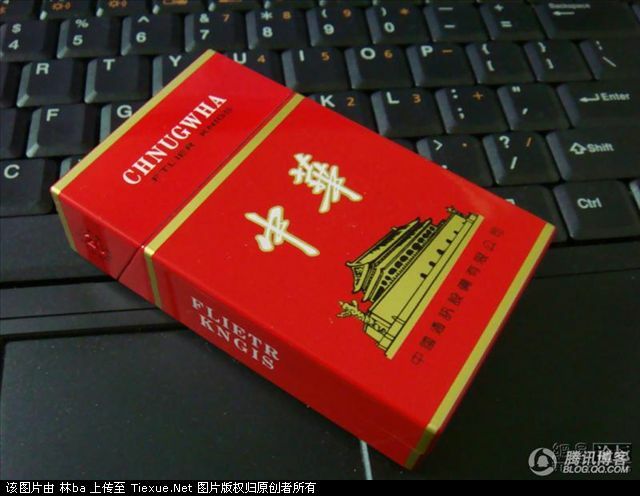 Hehe, a friend from Shenzhen came back from a business trip, took out a packet of cigarettes, and held it before me. 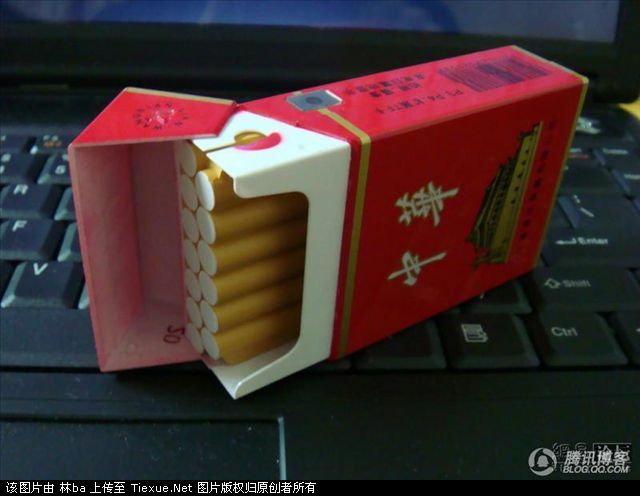 I habitually reached out to get a cigarette, but discovered that I could not pull out a cigarette, that the cigarette box was also not the right color, and why was the cigarette holder so hard? Could he have purchased fake cigarettes? My friend laughed deviously, turned over the cigarette holder, and I was immediately flipped over in shock…This!!! 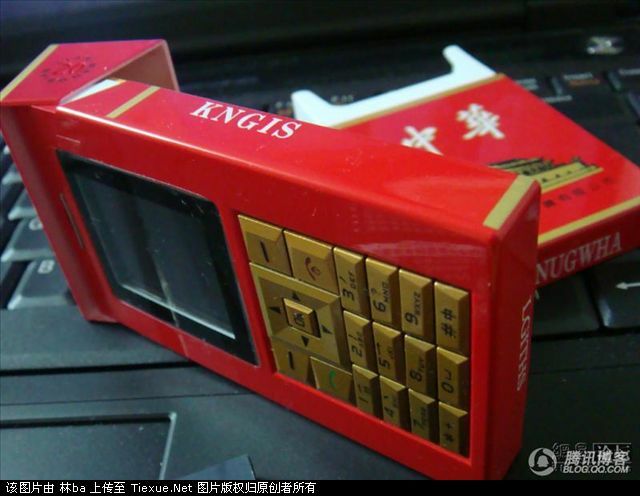 This is the rumored cigarette box mobile phone!! In the past I had only seen pictures of it on the internet, and did not imagine I would today actually truly be fooled by it…*waterfall of sweat! I will stop rambling, I took the phone, took pictures, and here are the pictures!!! First look at the entire mobile phone. Open the mobile phone battery cover. Remove the battery, look! It even has a network license! *Sweat!! “China Communication Equipment Limited Company”, isn’t that niu!!? Another “China Communications Equipment Limited Company” close-up. 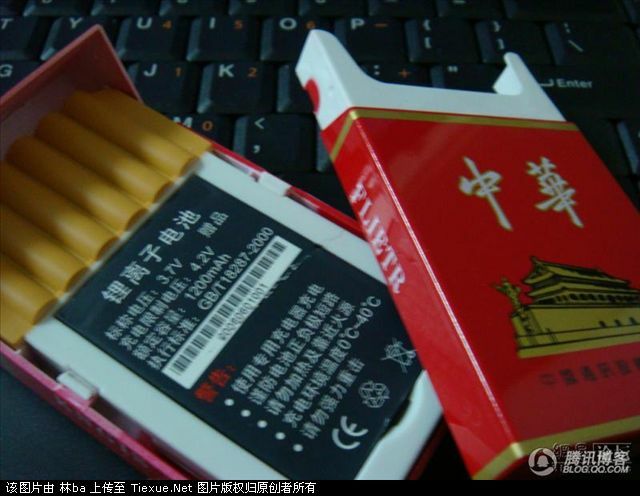 Look at the text on the cigarette box. Close-up after opening battery cover. Look at the camera on the side, and it even says it supports mp3, mp4, it does not lack a single feature!! Playing music, the volume is even louder than my notebook!! Hehe!! 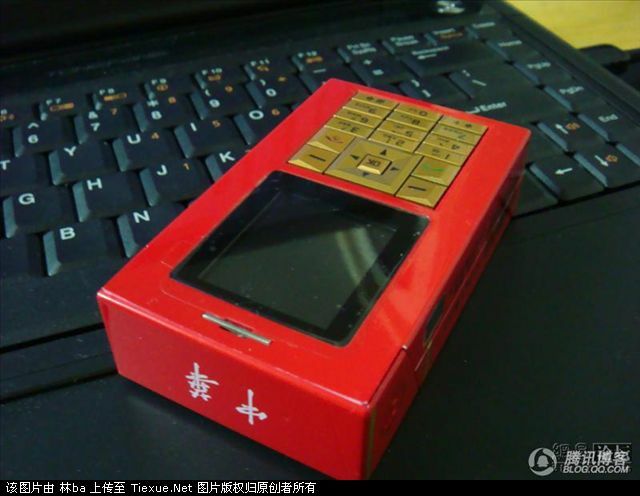 MTK’s mobile phones are simply niu! Indeed we must lament the vitality of black [fake] mobile phones and shanzhai mobile phones. Do you know why? Because of the designer’s creativity! They surpasses the real mobile phones who “stick to the rules” too much, and are extremely rich in creative vitality! This is the reason behind their vitality. Only unfortunately, these black mobile phones and shanzhai mobile phones basically do not have any post-sale service. These talented designers have buried by our “rules” and “regulations”. Do you know what is lacking the most in the 21st century? — Human talent. However, does China have very little human talent? — No, it actually has many. So why do we still lack? Wow, not bad, I also want one, where is it sold? Very shocking. Hehe, Chinese people’s imaginations are truly abundant, this is too talented. If we could all think of a way to kill little Japan without getting blood on our face, it would feel even more satisfying. 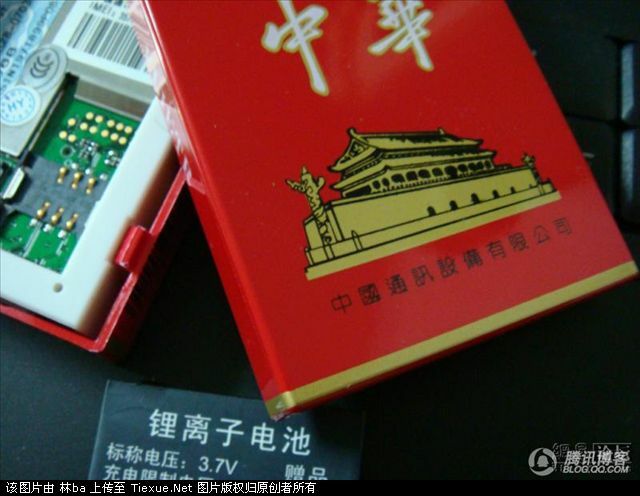 China’s ideas and inspirations are all on these kind of things, just like in the past using gunpowder to make firecrackers, all wasted on things without a point. China now has this many talented people, able to think of this many ideas. If these were instead used on the development of national defense science and technology, then America, Japan, who would be our match? It should be produced on a large scale, though the quality must be tested. Make some more, resist Japanese products! Actually those shanzhai people all are pretty talented but only unable to be exploited! Hopefully they can join together to set up a China shanzhai group so domestic products can carry on and expand! It would be even better if they can make it look like the national flag, and the ring tone would be the national anthem, singing motherland, love my China, etc. 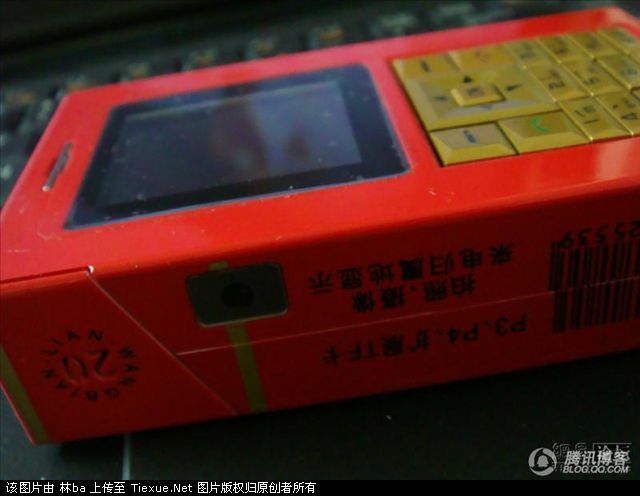 How interesting/amusing it would for all of us to walk on the streets, all carrying a small red flag as our phones Probably a lot of fenqing would like it, and gifting it to the older generation would also be pretty suitable. Only I do not know if it is illegal? 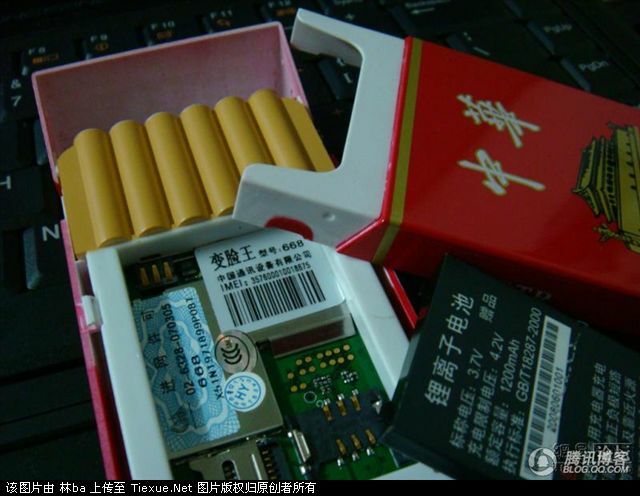 Not bad, and what more, the space between the battery and external shell can actually hold 6-7 real cigarettes. Pretty good. Amusing, the issue the lou zhu raised is also worth considering. How can this be called shanzhai? This is innovation! China even has designers with this level of talent? How uncommon. I await the cao ni ma mobile phone. 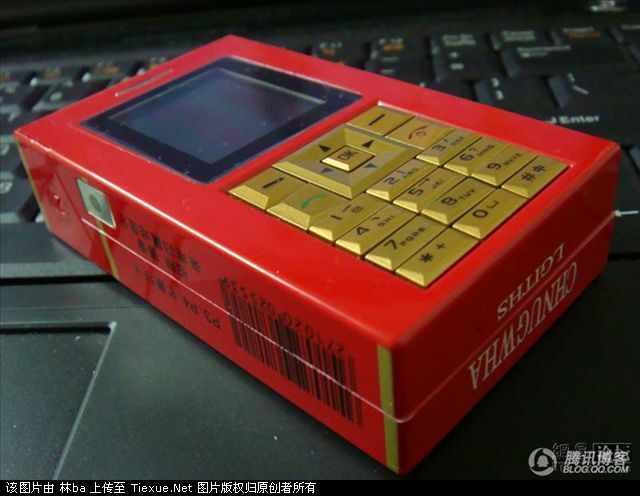 Shanzhai is so strong, continue working hard, and create a mobile phone with even more appeal!! But I definitely would not use it..! Too shocking..
China has many creative people, but unfortunately they have all been overlooked/buried. Too bad, too bad. Hehe, innovative ability everyone has, but indeed many times it has been neglected. This is one of the important reasons why I browse Mop, because I have discovered here that innovation is developed thoroughly. Shanzhai has become very popular in China because many people are just curious to see what how well/accurate anything can be copied. Many shanzhai products also clearly promote that they are shanzhai. Is this also a type of creativity or innovation?